Don't lose your grip or you may drop your drink. 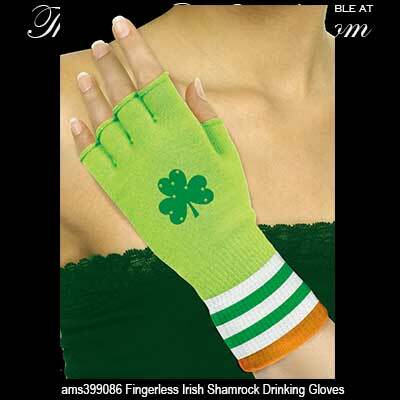 Use these fingerless Irish drinking gloves with shamrocks to keep a firm hold. The St. Patrick's Day drinking gloves from The Irish Gift House feature jeweled shamrocks and a green, white and orange wrist band. The fingerless Irish drinking gloves are made of cloth and will fit most women's hands.